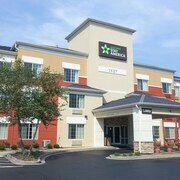 Situated in Naperville, this hotel is within 3 mi (5 km) of DuPage Children's Museum, Saints Peter and Paul Catholic Church, and Sea Lion Aquatic Park. Naperville Convention & Visitors Bureau and Naper Settlement Museum are also within 3 mi (5 km). 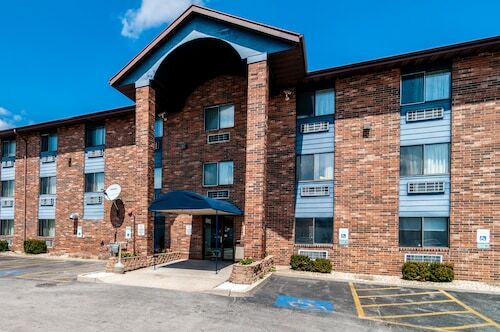 Situated in Naperville, this motel is 3 mi (4.9 km) from Blackwell Forest Preserve and within 6 mi (10 km) of Chicago Premium Outlets and Centennial Beach. Moser Tower and Millennium Carillon and Naper Settlement Museum are also within 6 mi (10 km). 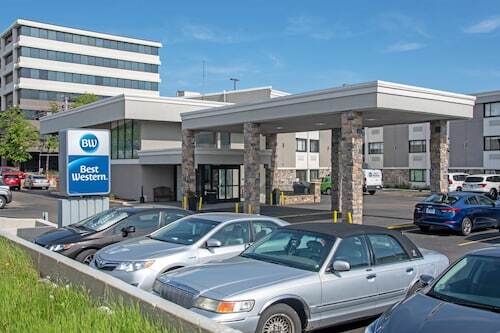 Situated in the business district, this eco-friendly hotel is within 3 mi (5 km) of DuPage Children's Museum, Saints Peter and Paul Catholic Church, and Sea Lion Aquatic Park. Naperville Convention & Visitors Bureau and Naper Settlement Museum are also within 3 mi (5 km). Situated in Naperville, this hotel is within 3 mi (5 km) of DuPage Children's Museum, Saints Peter and Paul Catholic Church, and Naperville Convention & Visitors Bureau. Naper Settlement Museum is 3.1 mi (4.9 km) away. 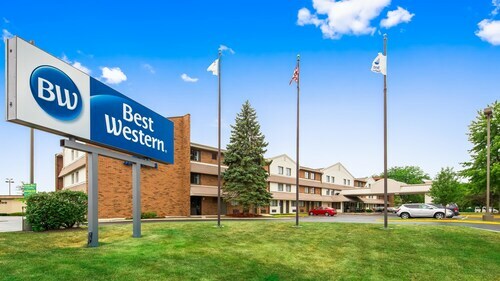 Situated in the suburbs, this hotel is 2.4 mi (3.8 km) from DuPage Children's Museum and 2.7 mi (4.4 km) from Saints Peter and Paul Catholic Church. Morton Arboretum and Naperville Convention & Visitors Bureau are also within 6 mi (10 km). 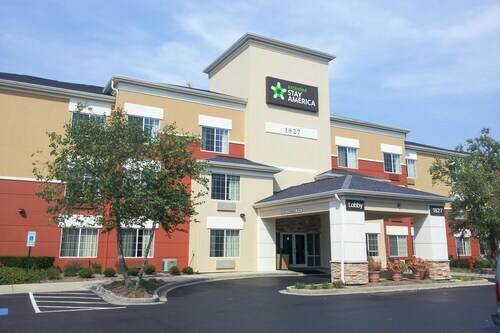 Situated in the business district, this hotel is 3 mi (4.8 km) from Blackwell Forest Preserve and within 6 mi (10 km) of Chicago Premium Outlets and Centennial Beach. Moser Tower and Millennium Carillon and Naper Settlement Museum are also within 6 mi (10 km). How Much is a Hotel Room in Naperville? 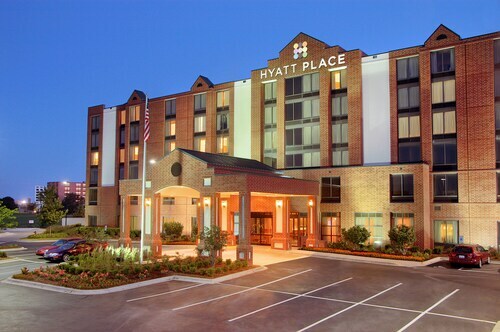 Hotels in Naperville start at $40 per night. Prices and availability subject to change. Additional terms may apply. Ranked one of the best places to live in the Midwest, Naperville is unique in that it perfectly combines big-city amenities with a quaint, quiet ambiance. A suburb of Chicago, this Illinois city is charming and convenient. Flights to Chicago are easy to find, but for those who prefer small-town charm to the hustle and bustle, hotels in Naperville are the ideal choice. Naperville hotels put you in the center of this historic village with its notable architecture, sublime greenery, and celebrated shops. 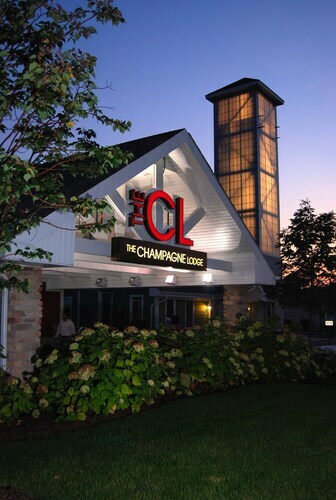 There's no need to stay on the go to make the most out of Naperville vacations. Simply sit back and let this stunning suburb charm you. Take a stroll along the Riverwalk, a community focal point recognized as one of the most breathtaking spots in the Midwest, no matter the season. Enjoy the one-of-a-kind fountains dotting the path, and check out the Millennium Carillion in Moser Tower. Climb up to the top to gaze upon the Chicago skyline and marvel at the Grand Carillon inside: this six-octave, 72-bell instrument is one of the few of its kind in the world. Swim at Centennial Beach, a historic quarry turned beautiful pool. Children will love to paddle boat on the River Quarry and play at the DuPage Children's Museum, and the whole family will be captivated by the Naper Settlement. An outdoor museum, this 12-acre historic village brings life to ages long lost, and costumed guides standing among reconstructed buildings will transport you to another era. Naperville boasts hundreds of dining options, from chocolate bars and doughnut shops to cafes and pubs to fine dining restaurants, as well as seafood, contemporary American food, and international cuisines. The downtown area features some of the best selections in the Chicago area, so even the pickiest eaters are guaranteed to find something satisfying. Naperville is the vacation you never knew you needed. 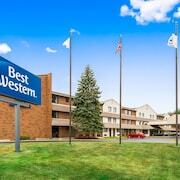 Search for hotels near Naperville and benefit from the Travelocity Price Guarantee. Travelocity will match a lower price and refund the difference! 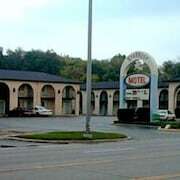 I loved my room it met every expectation of mine, the staff was funny as hell not to mention great customer service. The building was outdated, it had a older furniture and had a little smell to it also. 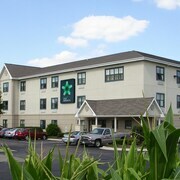 Good hotel to stay at near the airport, very clean . Parking was the only issue , could not find parking anywhere around the hotel , and was still charged $18 parking fees . Not enough parking .